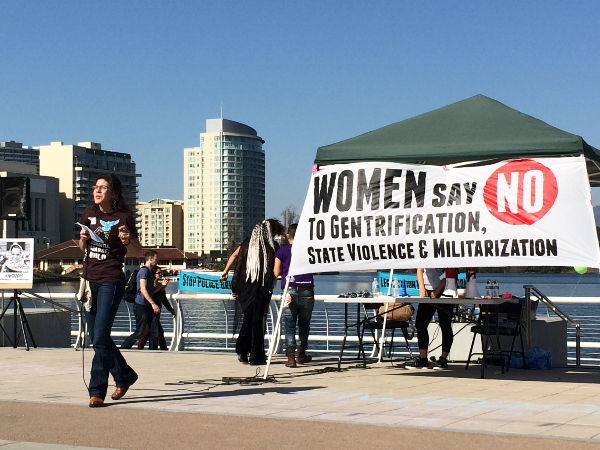 CR-Oakland member Heidi Hoescht read this statement Sunday, March 8, at a rally commemorating the 105th Anniversary of International Working Women’s Day (IWWD) hosted by our allies GABRIELA USA. At Critical Resistance, we believe in a world free of borders, bars and barricades. We live for a world in which the boundaries of our collective imagination burst open with the brilliance of shared liberation. We dream of a world in which all women are respected and supported no matter who they are because they live in a society that invests in people not prisons. So, we honor the legacies of power and resistance— legacies that together we walk with today—that will and must carry us into a liberated future–a future, in which our communities are nurtured by adequate food, shelter, freedom and health; so that we can push out of existence this nation’s destructive addiction to cages, border patrols, police and militarization. Assata calls on us to create a world that does not depend on the prison industrial complex to solve historically deep socio-economic inequalities. She reminds us that justice does not occur simply by assimilating so-called gender equality, racial sensitivity and recognition of immigrant people into a system of state terror and surveillance that is at its core designed to exploit, entrap, and control human life. We must rewrite the world. Because if we don’t, what we can already see in the official responses to the beautiful uprisings that have taken place this year, is that the state hides new forms of oppression under its false promises of “just” reform. People have raised an amazing battle cry to end racialized police violence across the entire country. The police promise things will get better. They tell us that making officers wear video cameras is going to make Black people safer.But, cameras do not reduce the power of the police. They expand the surveillance capacity of the state. Cameras did not stop police violence before, why would they now? Gender-non-conforming people and their allies have demanded an end to attacks on transpeople in jails. San Francisco Sheriff Mirkarimi promises he’ll put an end to the violence. He suggests putting transpeople into solitary confinement, isolating them from the general population for what he says is “their own protection.”This does not solve the problem of transphobic and sexist violence. It reinforces and reinvents torture as a solution that dubiously “requires” more unnecessary jail construction. 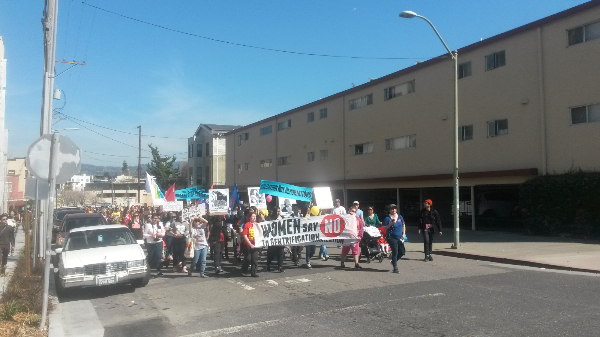 Women have shown that imprisonment of caregivers is detrimental to families and communities. The state of California has promised to offer women “alternatives” to imprisonment.“Gender responsive” Alternative Custody Programs “release” women into “community homes” under the confinement of electronic monitoring. This does not reduce incarceration, it EXTENDS imprisonment into our communities.It also puts the children of– mostly poor women and women of color –under criminal oversight. If the state believes people should be released, why not allow them back into their communities where they have homes, families and community-based support? We do not want prettier prisons and imprisoned communities. Covert redesigns and expansions of the prison industrial complex do not make us safer or more secure. They introduce fear, and violence, division and repression into nearly every stage and corner of our lives and society. 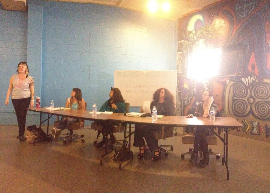 Last weekend, CR-Los Angeles presented on their fight against the proposed women’s jail project in Los Angeles at Building Together: Intersectional Strategies for Challenging Prison Expansion and Achieving Gender Justice hosted by our allies Justice Now.